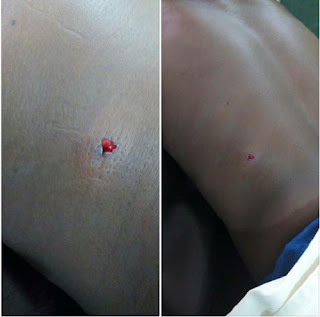 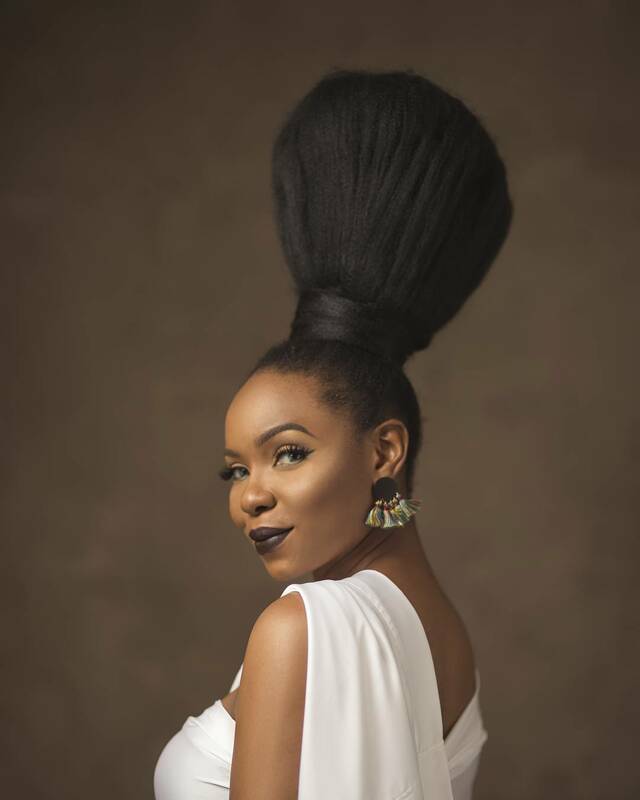 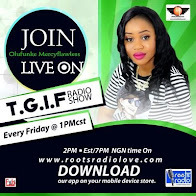 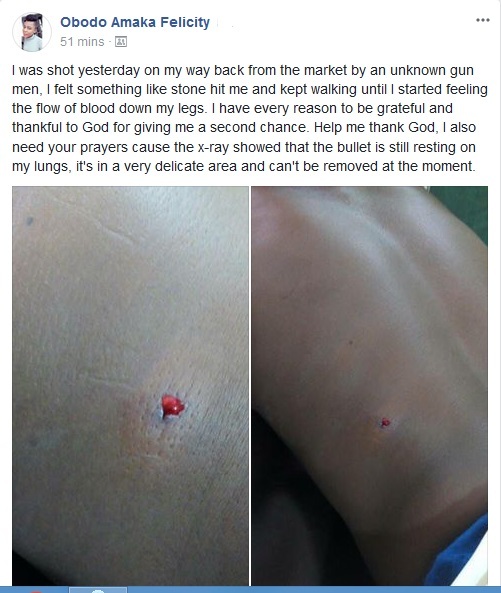 A young Nigerian Lady has recounted her near-death experience after she was shot and almost lost her life due to an attack by unknown gunmen. 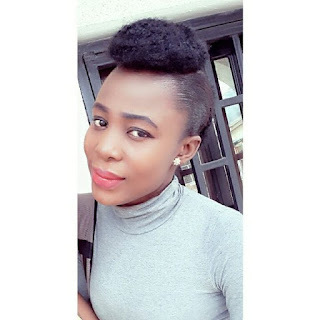 Sharing the good news on Facebook the pretty lady named Obodo Amaka, revealed that she was just returning from the market when the men of the underworld struck. 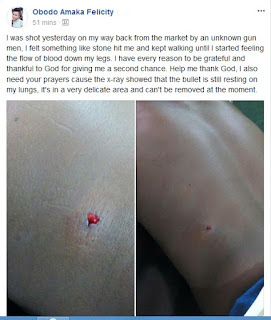 Amaka was was shocked to realize that the bullet got lodged in her lungs. She is full of thanks to God for sparing her life.